We love her name, her style (from the shoes up) & her accent. And, we really love how she talks about connecting with the Stitch Fix client. Here's a day in the life of Albina Kehoe, our Director of Channel Marketing. 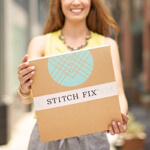 First things first, can you give us a little bit about your job and what you do at Stitch Fix? 5:30 AM: I get up and walk my dog. That’s one of my favorite things because he doesn’t talk to me! Just a nice quiet time playing fetch in the park. 6:00 AM: Wake up my 12-year-old daughter, Emma—that takes about an hour! Then I choose shoes. That’s how I dress…from the shoes up. Rush to school. Rush to work. 9:00 AM: My day consists of collaborating with a lot of very different people from data scientists to designers. I love this part of my job. What I am trying to solve every day is how to make email marketing to be more interesting, relevant and inspiring to our clients. 5:30 PM: I try to always leave on time so I can go home and do homework with my daughter or practice the piano together. 7:00 PM: Emma and I watch a girly show together like Gilmore Girls. After she goes to bed, then I indulge in Orange Is The New Black or Jane The Virgin. They’re just so funny and light. 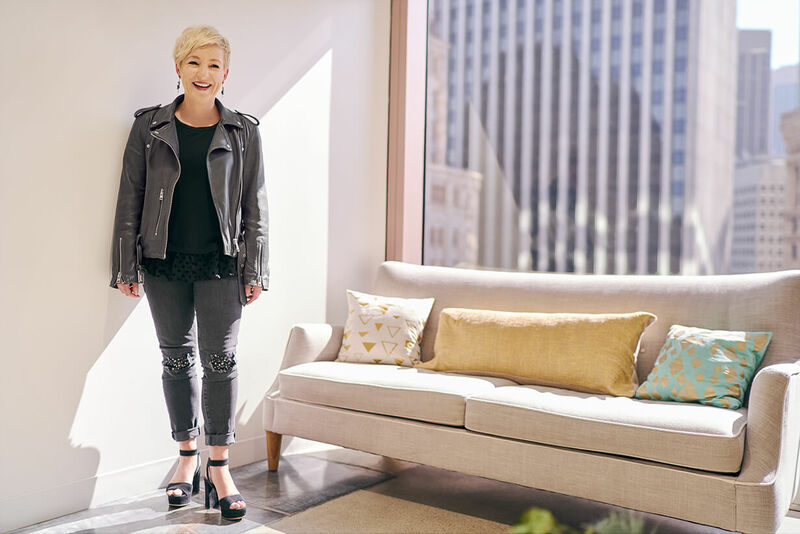 What’s a typical day for you at Stitch Fix? Or is that an oxymoron? If you could describe three words that help you succeed what would they be? Learning: I have to learn something new every day. Like, today I learned a lot about gift card sales. I never knew anything about them—and now I know a lot. Success! Passion: This is just as important to me as learning. It could be as simple as making our email work better—if I feel passion, I’m all in. People: Surrounding yourself with people who share your passion and are eager to learn will always be important to me. I enjoy everyone on my team and learn something from them daily. “I was a political refugee from the former Soviet Union. And before I moved to the states I studied what you would consider very classical mathematics. Today it translates to what we consider more of the data science function. But my first job in this country was selling flowers on a street corner on Thanksgiving. How’s that for a fresh start? We always love to see what you’re wearing and how you rock it. Your style is very unique. How would you describe it? We love your shoes…we’ll have what you’re having. What are your favorite shoes you’ve ever bought? And, do you still have them? 1. My favorite family vacation is a week every year spent riding horses on a dude ranch in Colorado. And yes, I wear all cowgirl attire ;). Some of my boho Stitch Fix items come in very handy. 2. What I’m reading now: “The Knockoff.” It’s all about disruptive fashion. But, I don’t just read chic lit. One of my favorite books ever is “Emma” by Jane Austen. It even inspired my daughter Emma’s name. 3. When I need to tune everything out and work, I listen to podcasts instead of music. My favorite podcasts at the moment are “Dear Sugars” because I have the biggest girl crush on Cheryl Strayed and “How I Built This” because I am inspired by people who just go for it. 4. When I dress in the morning, I most often start with the shoes I want to wear and go from there. I think we’ve covered that. 5. Lipstick vs. mascara—Definitely mascara. My mascara of the moment is Bobbi Brown Blackout and Giorgio Armani Eccentrico. 6. My favorite food is cheese because—what’s not to love? 7. I have climbed Half Dome in Yosemite twice in the middle of night to watch the sunrise. Once was not enough. 8. I was born and raised in the former Soviet Union.